Excellent Condition. 3rd Row Seat, Sunroof, Heated Leather Seats, Back-Up Camera, Rear Air, Alloy Wheels, Power Liftgate. Child Safety Locks, Electronic Stability Control, Brake Assist, 4-Wheel ABS, Tire Pressure Monitoring System, 4-Wheel Disc Brakes Safety equipment includes Child Safety Locks Toyota XLE with Predawn Gray Mica exterior and Ash interior features a V6 Cylinder Engine with 266 HP at 6200 RPM*. Edmunds.com's review says "Materials quality is very good, and the dash design is modern and attractive. Seating is plush, and there's abundant storage space along with user-friendly controls.". Great Gas Mileage: 25 MPG Hwy. Pricing analysis performed on 8/31/2018. Horsepower calculations based on trim engine configuration. Fuel economy calculations based on original manufacturer data for trim engine configuration. 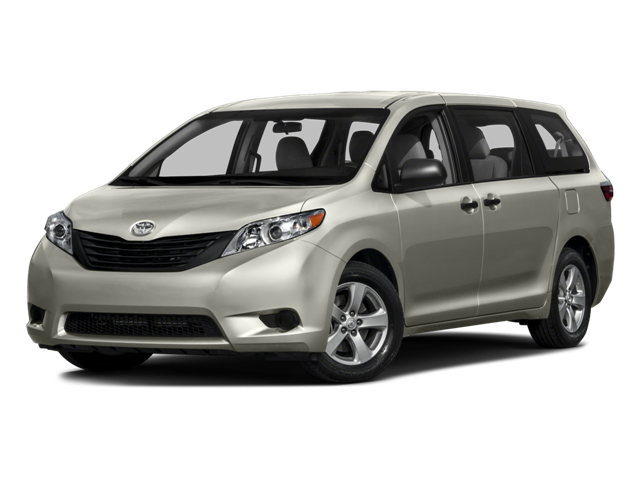 Hello, I would like more information about the 2016 Toyota Sienna, stock# HT8277A. Hello, I would like to see more pictures of the 2016 Toyota Sienna, stock# HT8277A.